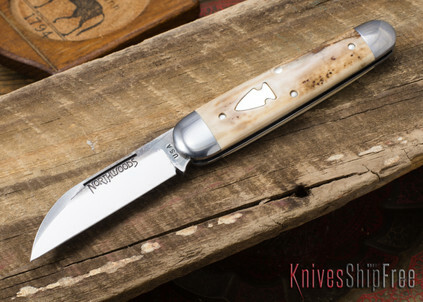 The Fremont Jack is an elegant Jack knife like your grandfather carried. Its name was inspired by a famous street in Portland, Oregon. 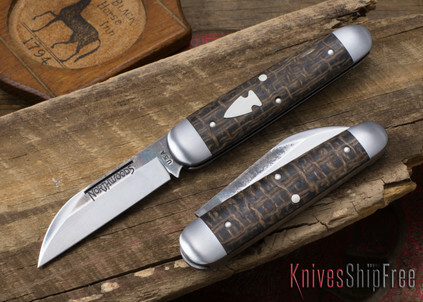 The Northwoods Fremont Jack is a traditional sleeveboard pattern pocket knife with a modified sheepsfoot blade that is large enough to really use. Though the 3.75" (closed) knife is stout and ready to work, the knife is nice and thin--sliding easily into your pocket. When open, the knife is 6.375" overall with a 2.5" blade. The blade is made of superbly heat treated 1095 carbon steel, just like a traditional knife should be. It has steel liners, a crisp half stop and a good snap closed. The Northwoods signiture arrowhead shield is pinned in place. Of course the scales on these are covered in some of the most beautiful handle materials available. 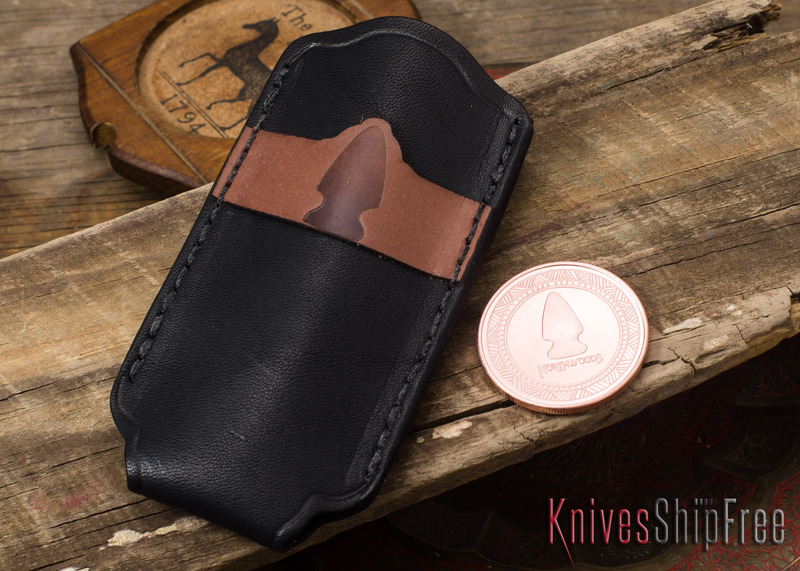 Like all of the recent Northwoods knives, the Fremont will not ship in a box--it ships in a leather PocketSlip with a Northwoods copper coin. 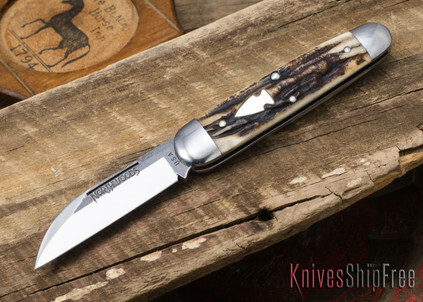 All in all, the Fremont is one sweet pocket knife.